Under the right conditions, gold nanoparticles absorb light and transfer electrons to other reactants. This process can be used to convert CO2 and water into hydrocarbons. In the graphic, carbon atoms are black, oxygen atoms are red and hydrogen atoms are white. 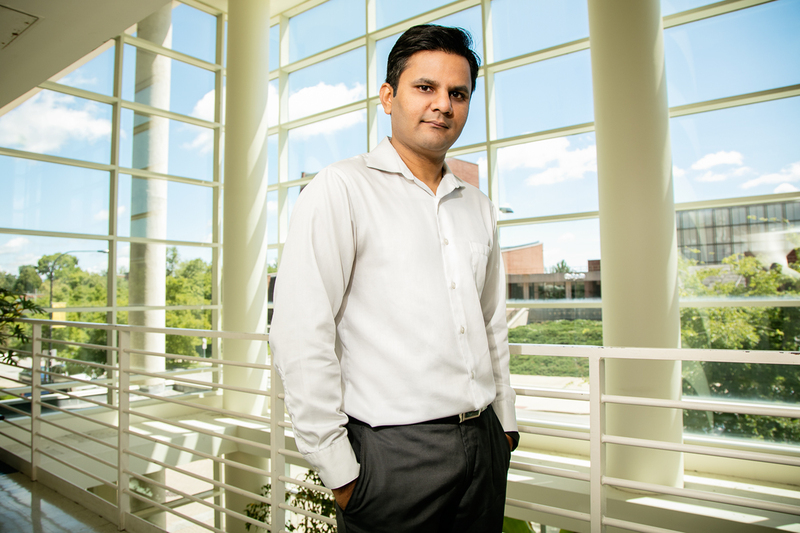 Chemistry professor Prashant Jain and his colleagues report they can use light to drive two-electron chemical reactions, enhancing a method for converting CO2 into hydrocarbons. CHAMPAIGN, Ill. — Scientists are one step closer to building a carbon-recycling system that can harvest solar energy to efficiently convert CO2 and water into liquid fuels. By optimizing many parts of the system, the researchers say, they can now drive two-electron chemical reactions, a substantial advance over one-electron reactions, which are energy inefficient. 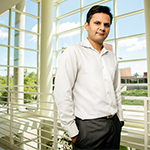 To reach Prashant Jain, call 217-333-3417; email jain@illinois.edu. 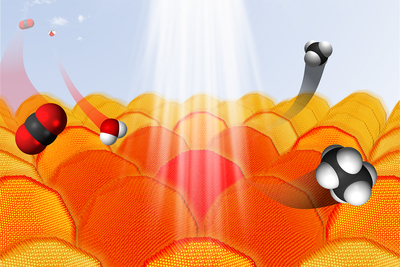 The paper “Harvesting multiple electron-hole pairs generated through plasmonic excitation of Au nanoparticles” is available online and from the U. of I. News Bureau.